1. 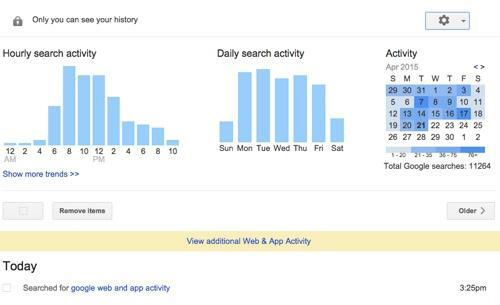 Navigate to Google’s Web and App Activity page. 2. Next, click the gear icon in the top-right corner of the screen. 3. Then select Download from the drop-down menu. You’ll then receive a pop-up window warning you not to download your search history to a public computer, as it contains a large amount of sensitive information. 4. If you want to continue, click CreateArchive. Once your history is downloaded, you’ll receive a link in a few seconds that lets you view your data. If you don’t want to download your data, and would rather get rid of it, you can do that as well. Of course, there are some reasons to let Google keep your search data. For one thing, it guarantees faster search results. It also ensures that Google Now has all of the latest relevant information about you. 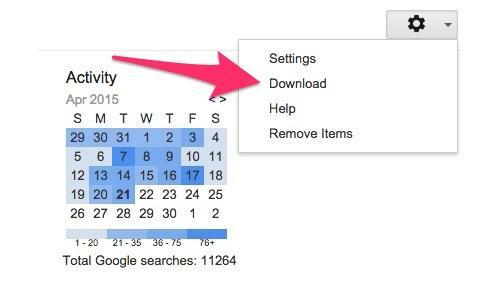 If you delete your data, your searches won’t be as tailored to your habits. Before we get started, it’s worth pointing out that if you want to keep your information hidden, you can use your browser’s privacy option, which keeps Google from saving your data — though it can still be seen by your service provider or employer. 1. 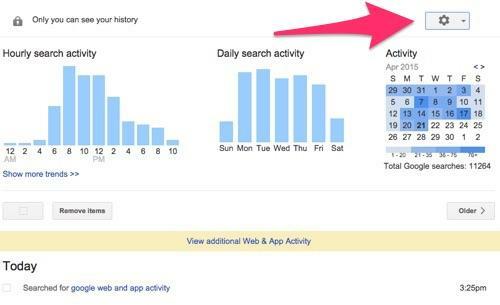 Navigate to the Web and App Activity Page and click the gear icon in the top-right corner. 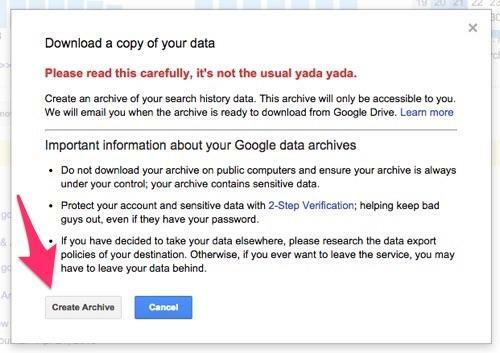 3.Click Remove and kiss your data goodbye. That’s it. All of your search history will be deleted, and you’ll never have to worry about Google knowing about the time you looked for tickets to a Justin Bieber concert.